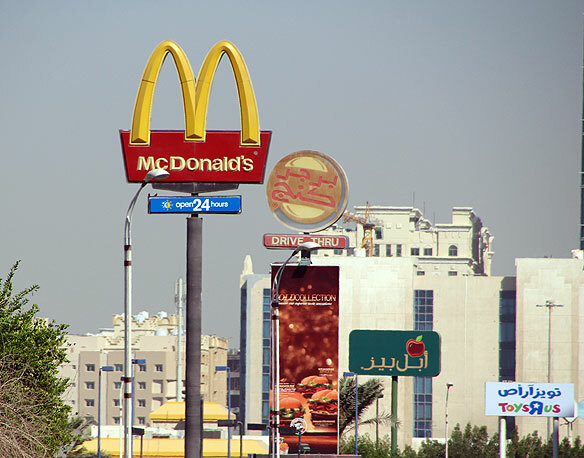 There is an extensive range of fast food available within a five minute drive of our apartment. This morning I took the short drive with my camera and added a batch of new images of many of the fast food restaurants to Flickr. All were taken around the Ramada junction, named after the Ramada hotel (now the Radisson Blu) but nevertheless the name remains… it is also humorously known as ‘Cholesterol Corner’ although I have never heard anyone refer to it in that way. 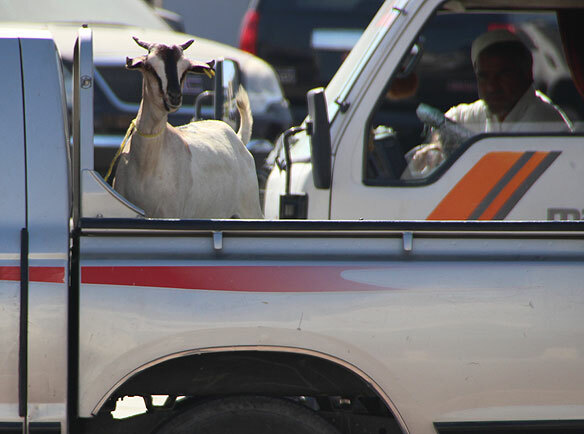 I also photographed this goat, who is destined to be slow food, sacrificed as an offering during Eid al-Adha, meaning the “feast of the sacrifice. The meat will be distributed amongst family and friends. There are plenty more fast food outlets which I will add to when I pass by them. View the fast food photos on Flickr.